Buy First Quality Per Fit for Women 58"- 68" XL Lavender Bag of 14 Briefs online! You are buying the First Quality Per-Fit for Women XL Lavender 58"-68" PFW-514 14/bag - Model #PFW-514 from First Quality. First Quality is a leading manufacturer of incontinence products including briefs, liners, underwear, diapers, and underpads. At ADW Diabetes, we do our best to offer the complete product line by First Quatliy with excellent pricing and fast shipping. First Quality Per-Fit for Women XL Lavender 58"-68" PFW-514 14/bag - are specifically designed for customized protection, comfort and discretion. They feature a breathable waist area, targeted absorbency zones that rapidly pull and lock away moisture and odor, and cloth-like fabric and design that looks and feels more like regular underwear. Designed and contoured for a woman's body shape, it features a form-fitting shape and stretchable waist for maximum comfort and discretion. Lavender color makes them as feminine as they are functional. Designed for Women - Designed specifically for a woman. Odor Guard - Helps prevent odors before they even start. Back Label – Size printed on inside waistband. Breathable Zones - Ventilated areas allow air to freely migrate to the wearer, helping maintain skin wellness and comfort by reducing heat build-up. 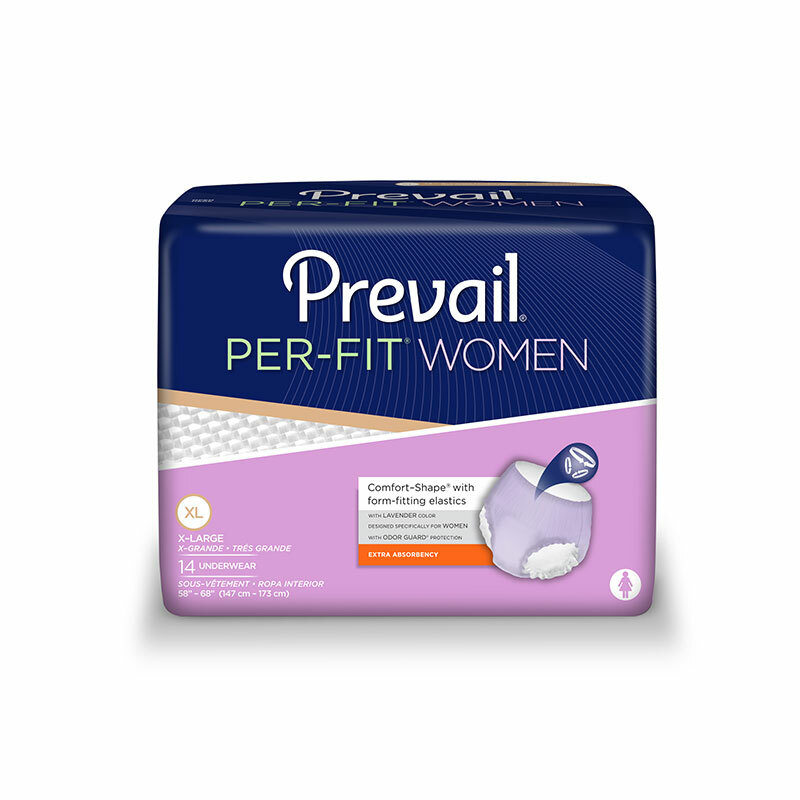 Cloth-Like Outer Fabric - A soft, breathable outer fabric that is more comfortable for the wearer and reduces the risk of skin irritation from the traditional plastic backed incontinence product. QUICK WICK with MaxSoft Technology - Combines superior softness with first-class acquisition speeds.